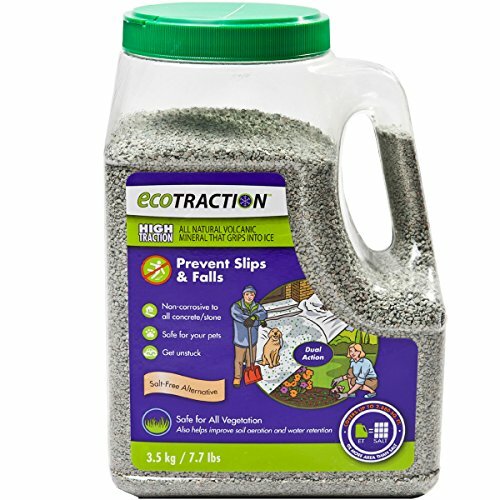 The EcoTraction natural volcanic mineral traction granules provide superior traction to prevent slips and falls. 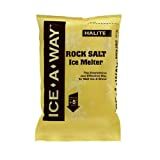 Manufactured from a hydrothermal volcanic mineral with unique characteristics that make it a highly-effective traction agent.This product is non-corrosive. Each granule has microscopic channels that absorb the slippery layer of water found on ice, which allows it to quickly embed itself into ice and snow. That coupled with each granule's large surface area, multiple contact points, and rigid structure, makes it the ultimate traction agent for slippery winter walkways and driving areas. 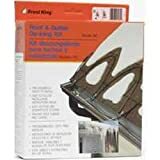 It is the only product to provide instant grip during dangerous freezing rain storms as there are no working temperature limitation. This jug holds 7.7-pounds of the volcanic mineral granules.